To be fair, I haven't shared a cake in over a week. So, I'm due wouldn't you say? 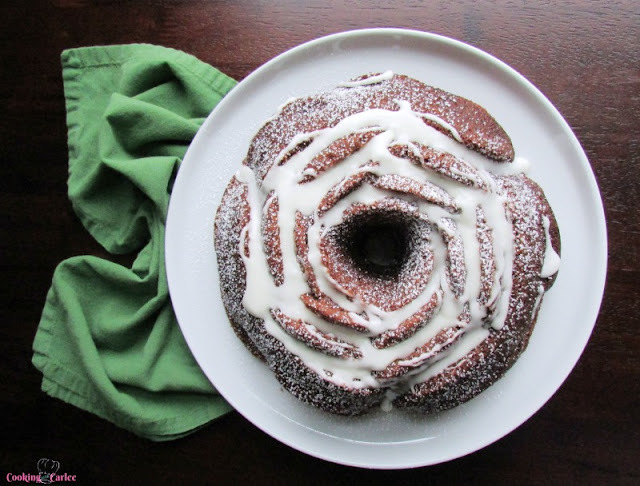 This easy banana bundt cake came out of the need to use some of those darn overripe bananas that seem to show up on my counter every so often. Luckily I am not one to back down from an excuse to bake a cake. Plus it gave me an excuse to break out a fun cake pan I hadn't used yet. I am sharing the beauty over at Jonesin' for Taste today. So please hop on over and check it out! For more great recipes using those overripe bananas, you may want to try banana sheet cake with salted caramel cream cheese frosting or chocolate banana cupcakes. Or if you are looking for something of the breakfast variety, banana bread baked oatmeal and banana oat muffins are two of our favorites! A co-worker and I were just talking about Banaba baked goods yesterday!! This is perfect, sounds like a perfect thing for our office carry in tomorrow and I have bananas waiting to be used!! I just love banana baked goods and I don't mind it at all when a few overripe bananas force me to bake! Oh my gosh, that's a beautiful cake! And once again, I'm kicking myself for not having picked up a bundt pan yet. But wow, this cake is just so pretty to look at! Have a great day Carlee! You definitely need to get one! Though now my little collection is taking up WAY too much room. Thanks, Jessica! 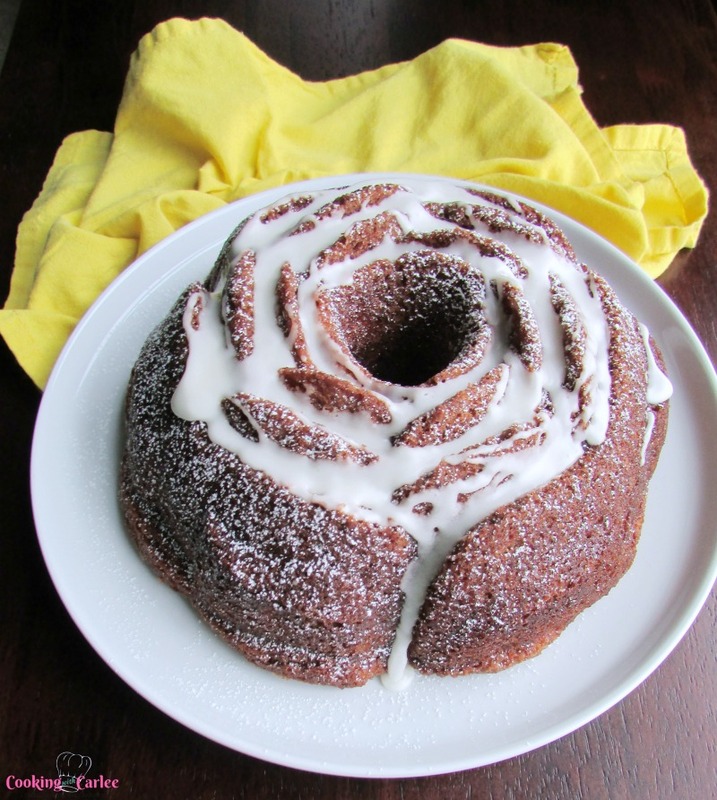 You always do such a good job of using your bundt pan and I only seem to use mine for coffee cake... That will change when I try this recipe! I just love how a bundt pan makes a cake feel special so quickly. I don't have any cake decorating skills, so a dusting of powdered sugar and a glaze is more my speed! A week without sharing a cake? Clearly this is the perfect fix for such a thing :). It looks divine! I know, and I truly apologize for going so long! Thank you! What a beauty this cake is! I have a collection of Bundt pans and this cake looks so yummy. I have a collection too! A few fun anytime ones and then a bunch of fall/winter ones. It's about time to break them out!